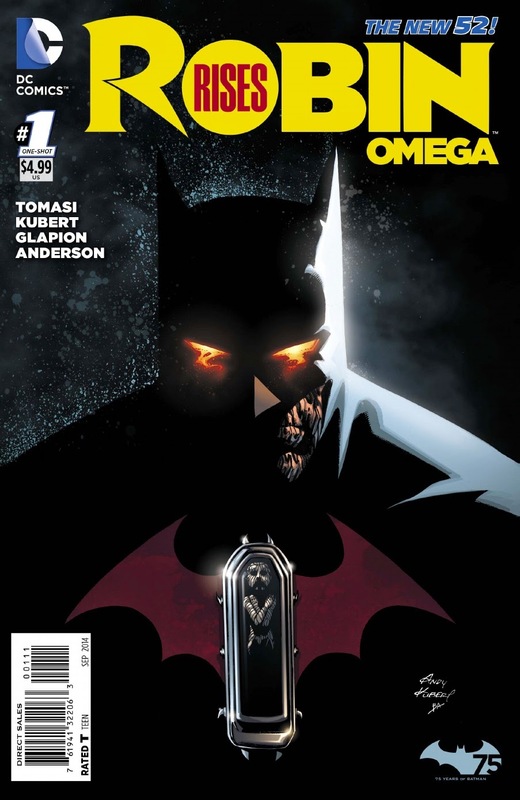 Robin Rises Omega #1 - $4.99 - It hardly feels like it has been over a year since Damian Wayne's shocking death. Most of the other Bat-titles have forgotten the incident, but Batman & Robin doesn't have that pleasure. This $5 one-shot is the beginning of a storyline that promises to reunite Batman with a sidekick. Notice no guarantees that it's Damian. 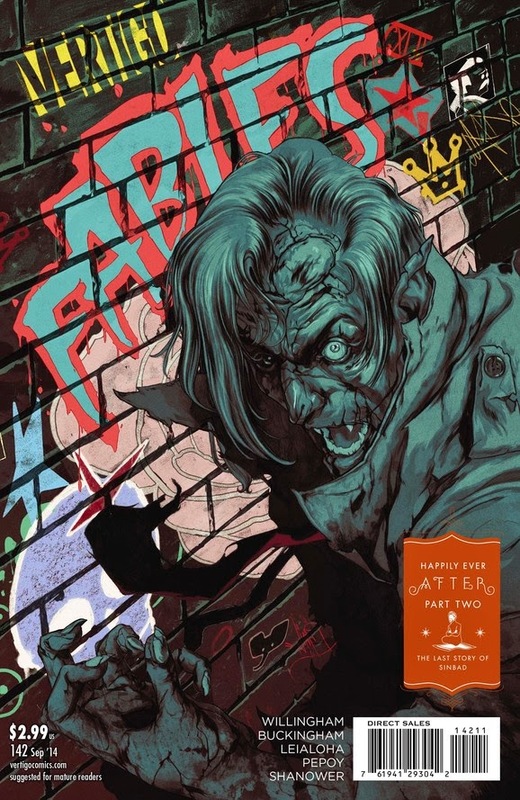 Fables #142 - $2.99 - The last storyline of Vertigo's second longest running series continues this week. Bigby Wolf is back (mostly), but there are still some things that need to be fixed before he's back to normal. Expect the tension to continue to amp up as we build toward what will surely be an epic finale. 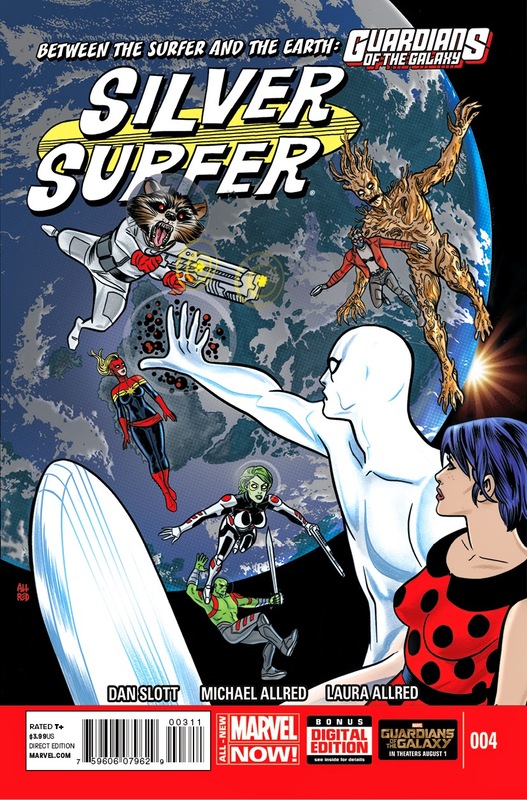 Silver Surfer #4 - $3.99 - If you listened to the latest episode of the GeekRex podcast, you know that we are all big fans of this book, particularly Mike Allred's art. A bit disappointing that the Guardians of the Galaxy are being shoe-horned into this, but it should be fun to see Slott and Allred's interpretation of the soon to be movie stars. Ms. Marvel #6 - $2.99 - Like Silver Surfer above, Ms. Marvel was one of the stars of our Mid-Year Comics Report Card, and with good reason. G. Willow Wilson and Adrian Alphona wrap up a damn-near perfect opening run last issue, and Ms. Marvel #6 starts a brief interlude with newcomer artist Jake Wyatt. 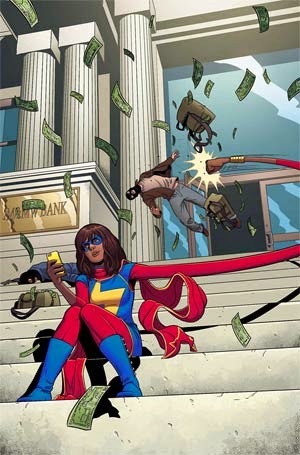 He'll have a tough time meeting Alphona's sky-high standards, but with Wilson's relentlessly enjoyable scripts, I have a hard time imagining a Ms. Marvel that isn't worth your time and money. 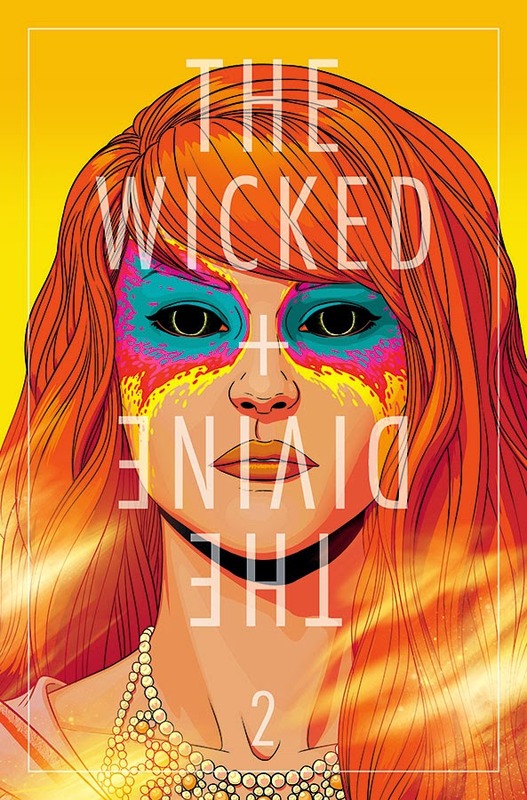 The Wicked + The Divine #2 - $3.50 - Kieron Gillen and Jamie McKelvie are one of the great new comic teams, and having the pair team-up on another Image series (after their weird-but-exciting Phonogram) that deals heavily with the weird intersection between music, popular culture, and mysticism is a treat. The first issue was a blast; let's see if they can keep it up. 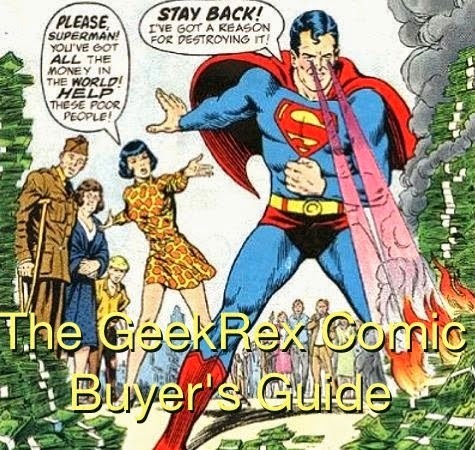 Going with those single issues we discussed above, here's another GeekRex favorite we've been recommending for some time. 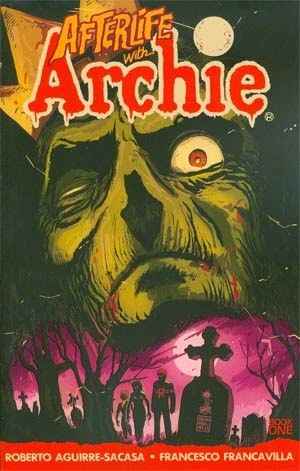 Afterlife with Archie, which dropped its first trade last month, is improbably one of the best books on the shelves. While it's a comic that probably shouldn't work conceptually - Archie and the Riverdale crew deal with a zombie invasion accidentally started by Jughead - some chillingly mesmerizing art from Francesco Francavilla and a script that isn't afraid to take the book in some weird, powerful directions make it a surprisingly gripping read. Hell, I know some people who would risk zombie apocalypse for the exact same reason posited in this book. Archie Comics' strength has always been its characters, the way their endless soap opera melodrama was somehow still relatable and humanistic; what makes Afterlife with Archie work is their dedication to those same principles, just with different storytelling tropes surrounding them. That said, you don't need a background with Archie's gang to follow the book at all. New readers are welcome, and I definitely encourage you to give it a shot. If you're looking for a zombie book with a little more weight than The Walking Dead, you should click here and grab Afterlife with Archie ASAP.